Arthroscopic is a type of surgery where a tiny small camera called arthroscope is introduced inside the joint through a keyhole incision and a magnified view of the joint appears on a television monitor. A defect can be seen and assessed on a television monitor, and repair or reconstruction can be performed through one or two more keyhole incisions. We specialize in knee, shoulder, and elbow arthroscopic procedures. Some of these common surgeries are discussed in brief for patient’s benefit. Any kind of twisting knee injury can damage ACL This ligament injury most commonly occur in sports like football, long jump, tennis, gymnastics. Another very common mode of injury other than sports is taking bath sea beach. Soon after the injury there is rapid onset swelling in the knee joint. A patient cannot continue to participate in sports. The patient complains of pain and giveway of the knee joint. There is difficulty in climbing stairs. 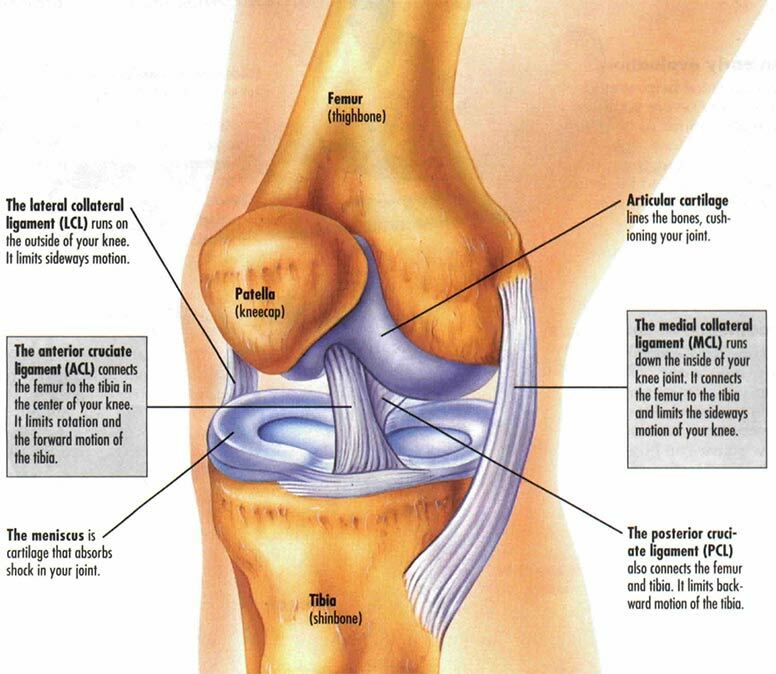 In chronic cases, there may be locking of the knee joint due to meniscus (cartilage ) tear. ACL tear can be diagnosed easily by an arthroscopic surgeon practicing sports medicine by clinical examination. An MRI of the knee joint is also done to determine other associated injuries to the knee joint. Always surgery is indicated unless a patient is very old and there is already gross arthritic changes in the knee joint. Surgery should be done as soon as possible after injury, as unstable injury leads to cartilage damage and finally arthritis. 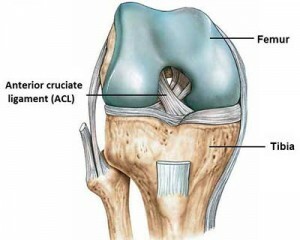 How ACL Reconstruction is done? Most commonly done under spinal anaesthesia that is the lower part of the body below the waist is paralysed for 3-4 hours by an injection on the lower back. Once ACL is torn it retracts and an end to end repair is never possible. So a new ligament is made in place of the old one. Tissue for ligament reconstruction is usually taken from the same limb, we most commonly use a tendon named Semitendinosus. We use bioabsorbable screws to anchor the graft to the bone. The whole procedure takes around 1 hour to complete. Then patient is moved to the bed and gradually regular diet is started. The patient can start walking on next day and get discharged. Muscle strengthening exercises and mobility exercises are started from the next day of the surgery. These exercises are crucial for early and complete recovery. Different sets of exercises are advised at an interval in the rehab phase, and if exercises are performed correctly, then one can take part in competitive sports in 6 months for non-contact games and nine months for contact games. A meniscus is semilunar shaped cartilage that lies within the joint, one on each side called medial and lateral meniscus. It acts as a shock absorber in the joint that means when weight transmits from thigh bone to shin bone it neutralizes it to some extent. If the meniscus is damaged, the wear and tear of the knee joint is accelerated. Meniscus surgery, repair or resection needs experience and expertise for proper treatment. loose bodies that occur in osteoarthritis and some other conditions like chondromatosis, can be removed by arthroscopy by minimal trauma. 6. MCL and PLC Reconstruction. This is a microsurgery where through a keyhole incision arthroscope (camera) is introduced inside the shoulder joint, and a magnified view of the shoulder joint can be seen on television monitor. Pathology inside the joint can be seen, assessed and can be treated through one or two more keyhole incisions. This is a condition where humeral head is partially or completely displaced from its original position on the glenoid. Most commonly shoulder dislocate due to trauma or fall. There are certain conditions where dislocation can occur without any history of trauma due to abnormal ligament laxity. What happens after shoulder dislocates? A patient complains of severe pain and resists all kind of movement in the shoulder joint. There is also a deformity, the round contour of the shoulder joint is lost. What should be done after shoulder dislocation? Acute shoulder dislocation is an emergency, and it should be reduced in position by a medical professional with or without anaesthesia as soon as possible. Once it is reduced, it should be confirmed by x-ray. An MRI scan is also essential to evaluate the extent of the damage. If the damage is extensive and the patient is a young surgical option to stabilize shoulder to prevent recurrence must be considered. Surgery is also indicated after first-time dislocators if there are any signs of instability. Small keyhole size incision compared to the large incision. Less hospital stay. Patient can be discharged within 24 hours of the surgery. Comparable result with open surgery. Recurrent shoulder dislocation. Depending on the age of the patient and the severity of an injury and ligamentous status shoulder dislocation can recur. Younger the patient chances of recurrence is more. In a case of recurrence, shoulder dislocation surgery is the only option and should be done early. Surgery for recurrent shoulder dislocation or Instability can be done by open conventional method or by Arthroscopy. 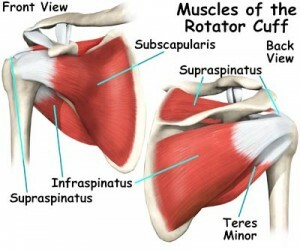 What is rotator cuff? It is a group of four muscles around the shoulder joint – Supraspinatus, Infraspinatus, Subscapularis and Teres Minor. The function of Rotator cuff? It stabilizes the shoulder joint. It has a major role in the movement of the shoulder joint. Acute injury can tear it as a result of fall or lifting weight or in sports. It can also be torn after repeated use like sports involving overhead activities for example tennis, swimming, basketball, cricket (bowling, throwing) or workout at the gym. A degenerative tear can also occur at old age. A patient complains of pain on movement and also pain at night that disturbs sleep. There is also the weakness of shoulder joint. 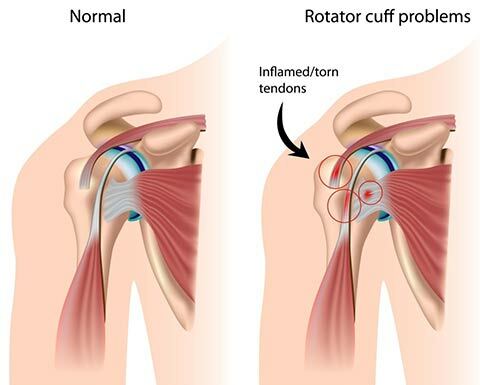 Most of the rotator cuff injury can be treated by nonsurgical methods like physiotherapy, local application of heat and some medications. Complete rotator cuff tear most of the time is repaired by arthroscopic surgery (preferable) or by an open procedure. Repair can be done by suture loaded metallic or bio-absorbable anchors (Single row or double row or anatomical footprint repair) or making tunnels in the bone (transosseous repair). Rehabilitation After Surgery : Different mobility and strengthening exercises under proper guidance should be done at various stages in the post op period. This phase is critical and should be done very sincerely to achieve full recovery. This is a condition where shoulder joint becomes very stiff and extremely painful. Severe pain at times on an attempt to move shoulder joint. Pain disturbs sleep at night. Increased incidence in diabetic patients. Long standing – average duration of morbidity is six months. Most of the times there is no significant pathology. Most of the frozen shoulder improves with exercises and physiotherapy along with some medication. To perform the exercise in a painful shoulder is hard but if carried out properly and under guidance, it ultimately gives relief from pain.Surgery is required only in a few patients where all nonsurgical methods failed. 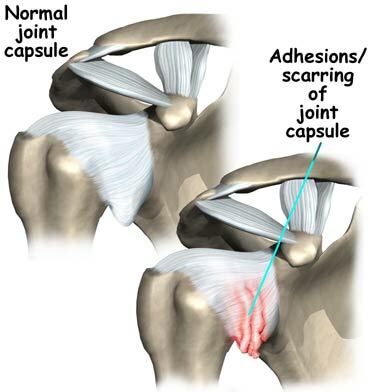 An arthroscopic capsular release is carried out. Patient needs intense physiotherapy after the surgery for pain relief and gaining movement.